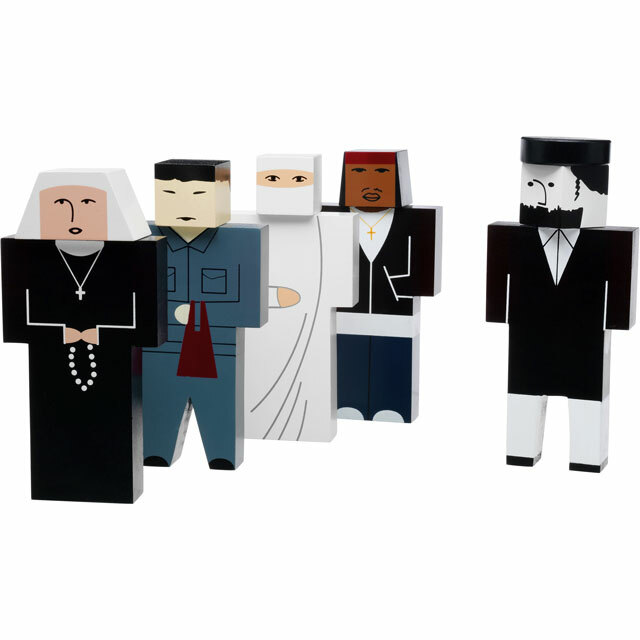 This unusual New York souvenir celebrates the people of New York City, a fascinating mix of races, religions, and cultures. Meet Moishe, Nafisa, Mary, Chen, and Jose, and watch their videos on YouTube. The 6” high figures are made of painted wood. Their production has been limited to 1000 sets. In 2008, Babel Blocks have been featured in Design and the Elastic Mind, a seminal exhibition at the Museum of Modern Art in New York. Presently, they are part of the MoMA permanent design collection.